Otto Paul 'Opie' Weyland was born on 27 January 1902 in Riverside, CA. As a young man, he moved with his family from California to Texas. 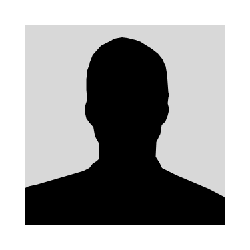 He attended high school in Taft, Sinton, and Hempstead, Texas. He enrolled at Texas A&M University in 1919 and graduated in 1923 with a B.S. Degree in Mechanical Engineering. He embarked on his military career when he received a reserve commission as a Second Lieutenant in the U.S. Army Air Service after graduation. He began his flying training at Brooks and Kelly Fields, TX, with initial duty with the 12th Observation Squadron at Fort Sam Houston, TX. He then returned to Kelly Field to teach flying. Promotions were slow in those days; Weyland wasn't promoted to First Lieutenant until June 1930. But there were also benefits; he was sent to Oahu, HI, as Commanding Officer of the 4th Observation Squadron at Luke Field on Ford Island. Thus might have begun a perfectly ordinary career progression except for Weyland's determination to learn how the Army operated at every level, and more important, how the Army wanted air operations conducted. His was a unique viewpoint at a time when most Air Corps officers unswervingly supported the concept of strategic bombing. In November 1934, he returned to Kelly Field as an Instructor and, in 1935, became Chief of the Observation Section, with promotion to Captain. Weyland then attended both the Air Corps Tactical School at Maxwell Field, AL, and the Command and General Staff School at Fort Leavenworth, KS. His next duty was in Washington, DC, in June 1939, as Assistant to the Chief of Aviation Division in the National Guard Bureau. He was promoted to Major in March 1940. In December 1941, as Commanding Officer of the 16th Pursuit Group (Interceptor) at Albrook Field, Panama Canal Zone, he was promoted to Lieutenant Colonel and became Deputy Chief of Staff of the 6th Air Force. Promotions came swiftly now, he became a Colonel in March 1942, but he had to serve in staff roles at headquarters before being promoted to Brigadier General and given a command. He was sent back to Washington in June as Deputy Director of Air Support at Headquarters, Army Air Force. He received the star of a Brigadier General in September 1943 and, in November, was sent to Europe as Commanding General of the 84th Fighter Wing. Four months later, he became Commanding General of the XIX Tactical Air Command. Under his command, this combat unit became famous for its classic air support of General George Patton's U.S. Third Army in its successful movement across France in the spring of 1945. By early 1945, Weyland had become a Major General and had finished the air war against Germany. 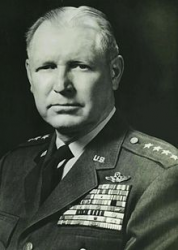 Under him, the XIX Tactical Air Command participated in six major campaigns and led General George Patton to call Opie "the best damn general in the Air Corps." NOTE: In its drive north to relieve Bastogne, General George Patton's 4th Armored Division was greatly assisted by the close air support provided by the XIX Tactical Air Command under General Otto P. Weyland. The book "Air Power and Ground Armies" from the Air University at Maxwell-Gunter AFB, Montgomery, AL, describes the cooperation between Patton's U.S. Third Army and Weyland's XIX Tactical Air Command as "the most spectacular Allied air-ground team of the Second World War." Patton himself called the relationship "love at first sight." After returning to the U.S. in September 1945 for nine months, Weyland served as Assistant Commandant of the Command and General Staff School at Fort Leavenworth. In June 1946, he returned to Washington as Assistant Chief of Plans at Headquarters, Army Air Force. After the Air Force became a separate service on 18 September 1947, he moved up to Plans and Operations. From February 1948 to July 1950, Opie served as Deputy Commandant of the National War College in Washington. In July 1950, he briefly served as Commanding General of Tactical Air Command before going to Headquarters Far Eastern Air Force (FEAF) in Tokyo as Vice Commander for Operations in the first full month of the Korean War. Weyland returned to Tactical Air Command in April 1951 and was promoted to Lieutenant General. In June, he returned to Tokyo as Commanding General of FEAF and the United Nations Air Forces after its commander, Lieutenant General George Stratemeyer, had a serious heart attack. Weyland's widely recognized ability and experience in tactical warfare was then ably demonstrated in 10 major campaigns in Korea. 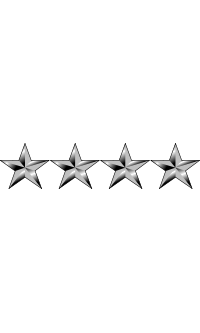 On 5 July 1952, Weyland was promoted to the four-star rank of General. He stayed in Japan to help that nation reorganize its air defense forces and aircraft industry, and became known as the "father of the new Japanese air force." In May 1954, Opie again returned home to the U.S. as Commanding General of Tactical Air Command, Langley Air Force Base, VA. He remained in that command until his retirement on 31 July 1959. NOTE: In a 1954 report on the Korean War, General Weyland, then FEAF commander, declared that "air power was the decisive force in the Korean War. Seizing the initiative as soon as authorized to do so, blunted the first sharp thrusts of Communist aggression and prevented the expulsion of our forces from the peninsula." Weyland also received awards from Great Britain (Commander, Order of the British Empire--for air cover of the Normandy Invasion), France, Luxembourg, Belgium, Korea, Thailand, Philippine Islands, Japan and Brazil. General Otto Paul 'Opie' Weyland died on 2 September 1979. "A fighter pilot at heart, USAF Gen. Otto P. Weyland instinctively punched his own ticket in exactly the right way to make him a top Air Force commander in two wars. He was as ardent in support of strategic airpower as any of his contemporaries. Yet Weyland also achieved spectacular success through his determination to support Army ground operations. In his own words, he talked the Army's language."